Many of us take breathing for granted. It’s an automatic, involuntary action that we largely do unconsciously. It’s also a relatively easy task, save for during the odd chest cold. But, unfortunately, there are many people who don’t have it so easy. People who suffer from bronchospasms, for example, can have a very hard time breathing. Bronchospasms are involuntary muscle spasms that occur due to the constriction of the airways, known as bronchi. 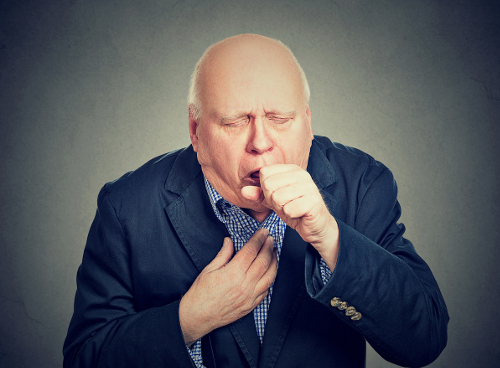 Here, we’ll take a look at everything bronchospasm, from bronchospasm causes and bronchospasm symptoms, to bronchospasm diagnosis and bronchospasm treatment. So what exactly causes bronchospasm? What things cause the body’s airways to constrict? The short answer is a lot of things. Anything from allergies to stress to medical negligence might trigger bronchospasm. Here are some of the more common causes. Whether caused by a bad cold or an allergy, excessive mucus production can clog the airways, which can, in turn, cause a bronchospasm. Interestingly enough, there is at least one nonphysical cause for a bronchospasm. Excessive stress and emotional distress can increase your chances of having a bronchospasm. Various types of allergens can cause a bronchospasm. As we noted previously, they can cause excessive mucus production, which can cause the airways to constrict. But, they can also trigger a large amount of coughing due to a buildup of allergens in the breathing system. The airways in your body can become inflamed, causing them to constrict and trigger a bronchospasm. Many illnesses that affect your breathing can also trigger a bronchospasm, with bronchitis being a prime example. Some medications, especially those that are inhaled, can cause a bronchospasm. While this is a bit rare, clinical negligence with anesthesia can cause bronchospasms. Unfortunately, when the bronchospasm occurs, it can cause serious issues with breathing and breathing tubes during surgery. The environment can also play a role in triggering a bronchospasm. A dry and cold environment can be a trigger for constriction of the airways. Now that you are aware of what may cause a bronchospasm, we can move on to recognizing the symptoms of a bronchospasm. Bronchospasms are similar to bronchial afflictions like asthma in terms of symptoms. Sudden tightening of the chest usually accompanies sharp, painful coughing. The coughs often come in multiples, and can lead to shortness of breath. Wheezing before and after the coughing fit may also occur with bronchospasms. Overall, breathing becomes labored and there is a fair amount of coughing. The trouble with these symptoms is that they not only sound like asthma, but they also sound like bronchitis. And even a severe chest cold. So, how would you know whether it’s a bronchospasm or something else? You think that you may have bronchospasm, but you aren’t sure. The next step is to go to the doctor’s office for a professional medical opinion. Your physician should ask you about your previous medical history, most likely focusing on any allergies or breathing issues. Next, a physical examination may be performed, where the doctor will focus on your breathing and lung capacity. Other diagnostic tools like X-rays, CT scans, and pulmonary tests may be necessary to gauge the scope of the issue, and also to rule out other things like asthma. Once an actual diagnosis of bronchospasm has been made, you can move on to treatment. Simply put, these medications help dilate the bronchi. They will help relieve any constriction of the airways. The most common are beta2-agonists and theophylline, which often come in pill form. These types of steroids work well for relieving the constriction of the airways, and are often used as a long-term solution for bronchospasm. Anticholinergics are also bronchodilators, but they are different from beta2-agonists and theophylline. Anticholinergics include medications like ipratropium, tiotropium, aclidinium, and glycopyrronium. These medications are usually taken via inhaler rather than in pill form. Anticholinergics work by blocking the cholinergic nerves of the central nervous system, which, in turn, leads to dilatation of the bronchi and allows for easier breathing. Beyond medications, the doctor may also recommend a few natural measures that can help you take care of your bronchospasm. First, whenever you are ill, a day or two of rest can help medications work more effectively and get you better faster. So, if you can afford the time off, this can really help. Secondly, the doctor may recommend some breathing exercises. Focused mainly on nasal breathing, these exercises are designed to help your body remember what regular breathing is, help build the oxygen levels in the body, and reduce the effectiveness of the bronchospasm. If allergens are causing your bronchospasm issues, you will be advised to avoid those offending allergens as much as possible, or at the very least, until your issues with bronchospasms are over with. Identify the Bronchospasm, Then Eliminate! The problem with bronchospasm is that most of the symptoms are very similar to other breathing issues. It can easily be written off as a chest cold, so you may not get the proper medication—and end up suffering with it longer than you actually have to. But with a doctor’s help, a proper diagnosis, and the proper medication, you can tackle the bronchospasm quickly and move on with your life. “Bronchospasm : Causes, Pictures, Symptoms And Treatment,” Health Resources 4 U, https://www.healthresource4u.com/bronchospasm-causes-pictures-symptoms-treatment.html, last accessed April 25, 2017. “What is Bronchospasm: Symptoms, Treatment, Causes, Pathophysiology, Risk Factors, Prevention,” ePain Assist, https://www.epainassist.com/chest-pain/lungs/what-is-bronchospasm, last accessed April 25, 2017. Uddin, R., “Bronchospasm Symptoms,” Livestrong, September 11, 2010, http://www.livestrong.com/article/240577-bronchospasm-symptoms/, last accessed April 25, 2017.